One of the nicest things about living in Memphis, Tennessee is being able to attend Broadway shows at one of the most beautiful theatres in the country. The Orpheum Theatre was originally built in 1890 and was called The Grand Opera House. Vaudeville was the rage of entertainment late in the the 19th century and early 20th century and The Grand was billed as the classiest theatre outside of New York city. 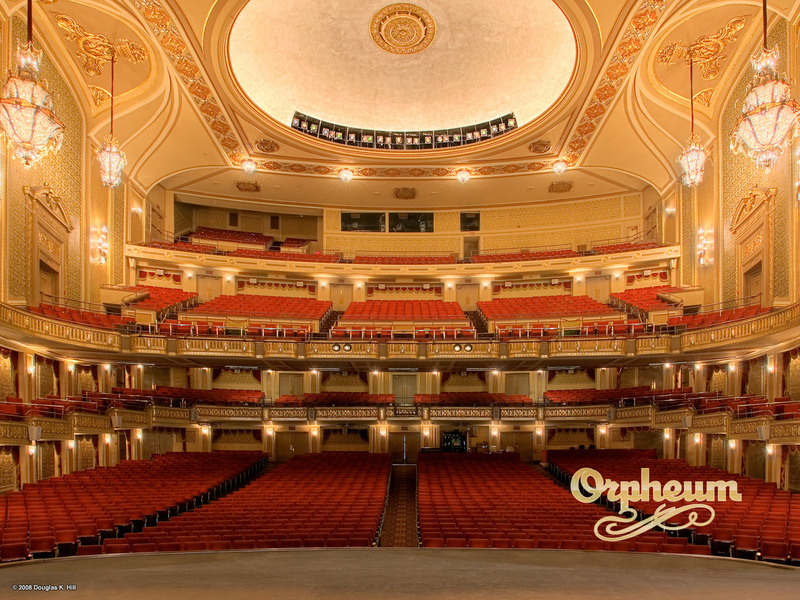 In 1907, the Grand officially became part of the Orpheum circle of Broadway shows and so became known as The Orpheum. The original building was destroyed by fire in 1923 and was rebuilt five years later at an exorbitant cost of 1.6 million. The new theatre was twice as large as her predecessor and so lavishly decorated as to be considered the most opulent theatre in the country at that time. Everything about this new theatre was richly themed, expertly decorated and no expense was spared. From the ceilings hung massive crystal chandeliers, the walls adorned in rich brocades and tasseled draperies. There were gilded moldings and plush carpets. The seats were done in deep red velvet and the ushers were neatly attired in black and white uniforms. The new theatre also featured the Mighty Wurlitzer pipe organ that was played during intermissions. The popularity of vaudeville waned across the country and The Orpheum was purchased in 1940 by Malco Theaters which is a family run business that is still operating in Memphis today. Hollywood was beginning to pump out first rate films that had America going to the movies on Saturday night and Sunday afternoon matinees. The theatre packed them in to see Gone With the Wind and Wizard of Oz. It operated as a movie house until 1976 when the theatre was sold by Malco to the Memphis Development Foundation. There was talk of demolishing the old landmark and building an office complex. Thankfully, that did not happen and on Christmas day 1982 the doors were closed and a 5 million dollar renovation began to restore this building back to it’s 1928 splendor and beauty. A grand reopening celebration was held in January of 1984, and it signaled the rebirth of entertainment in downtown Memphis. The Orpheum is as grand as any theatre I have visited and it is truly a sparkling gem for this delta town. When the doors open a half hour before showtime, you enter through a foyer area and hand the still uniformed usher your ticket. Once your ticket is scanned you are allowed to enter into the lobby and what a grand entrance that feels like. The room opens up at least three stories high and hanging from the middle of the ceiling is just one of the famed crystal chandeliers. A curved staircase leads you up to all balcony seating and at the landing on the staircase is one of the largest gilded mirrors I have ever seen. There’s also a gleaming black, grand piano situated perfectly in the middle of the lobby. You climb the stairs and find your level and once you are there, you are once again escorted by an usher to your exact seat. The ushers could have time travelled from the 1920s with their impeccable and old-world style of dress. Most of the ushers are older and the ones I’ve had a chance to speak with, all have a history with this charming landmark theater. I could easily spend an afternoon hearing first hand accounts of all the history this place has seen. Once you are escorted inside, and you come around the first corner of seats, the theatre opens up before you all the way to the curtained stage. The first time I walked through the doors and beheld the splendor of what was before me, it took my breath away. Everywhere you look there is gold leaf and gilded moldings. The colors are done in dark reds and soft gold and the seats are still covered in plush velvet upholstery. The dome of The Orpheum sits high above our heads, with more exquisitely detailed inlays and soft lighting. When the house lights finally go down and the orchestra strikes that first chord, you are totally lost in another world. A world that took place close to a century ago. A world that was different than the one we live in today. 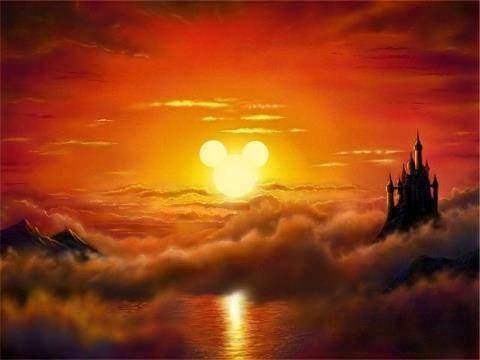 A world that still had romance and mystery. You are transported back into time for a couple of hours and the hustle and bustle of our 21st century world is forgotten. The theatre alone lends an air of nostalgia and whimsy to the evening, but the fact that The Orpheum still brings Broadway plays and musicals to Memphis is a blessing on this not so big, city. If you ever catch yourself down in the delta and you want to reward yourself with a wonderful evening, go catch one of the shows at The Orpheum. Before the show, enjoy a stroll down Beale St. and stop in at one of the clubs and hear some legendary Blues. Then, grab your date and head on over to watch a top rated production at our little star of a theatre. You won’t be disappointed.